The Hirshberg Foundation is excited to have Dr. Jeffrey Chen as a speaker at the 15th Annual Symposium on Pancreatic Cancer on March 2nd, 2019. Dr. Chen is the Executive Director of the UCLA Cannabis Research Initiative, one of the first academic programs in the world dedicated to the study of cannabis. We are excited to have him joining us to discuss Medicinal Cannabis and Cancer with the pancreatic cancer community. California is currently the largest population in the world with legal adult use of cannabis, yet years of research restrictions have contributed to a lack of scientific knowledge about cannabis, particularly in regards to the therapeutic potential. The UCLA Cannabis Research Initiative (UCLA-CRI) is dedicated to the interdisciplinary study of the wide-ranging health, legal, economic, and social impacts of cannabis. Dr. Chen is passionate about accelerating research into cannabis and its compounds as potentially cost-effective and safe treatments for cancer patients, which he will address at this year’s Symposium. Dr. Chen has spoken on the topic of cannabis at venues ranging from the RAND Corporation and Senator Feinstein’s Office, to the Yale School of Management and Nexus. His work has been covered by outlets ranging from the Wall Street Journal to Rolling Stone. He has spent the past four years working at the intersection of academia, industry, nonprofit sector and government to accelerate research into the health effects of cannabis. 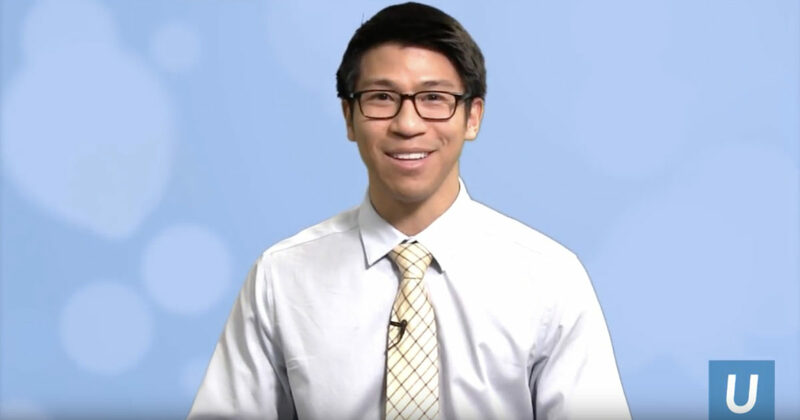 To learn more about Dr. Jeffrey Chen visit, www.uclahealth.org/cannabis/message-from-director.